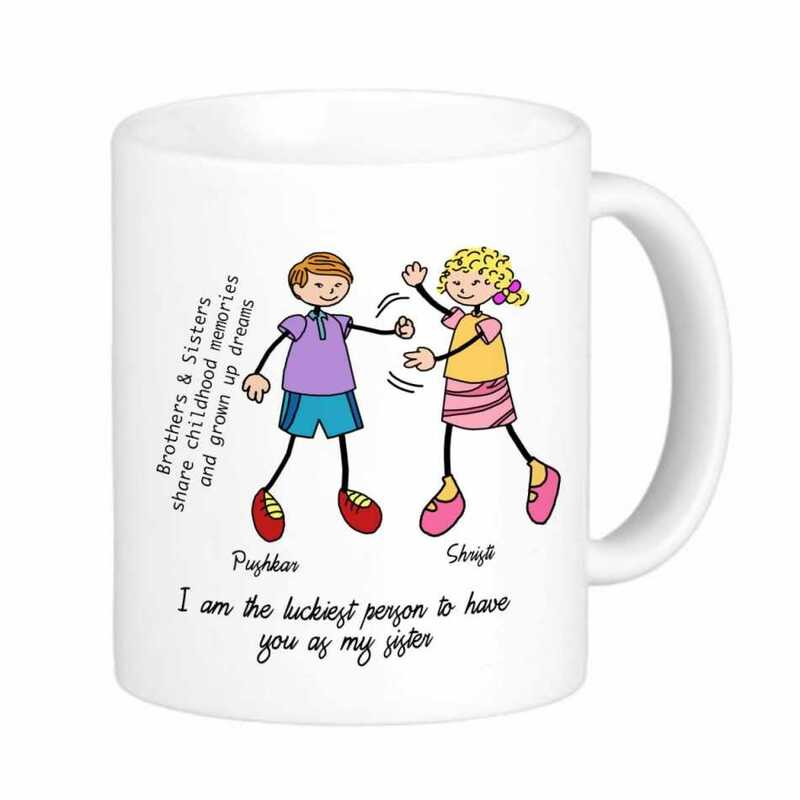 Pamper your little sister with lots of cuddles and this cute personalized coffee mug. The adorable cartoon images along with the special message are sure going to make her feel special. Truly, a gift worth having!